Breakfast: It’s a real day off. A day off from taking my dad to a doctor. I could sleep in! Gary and I talked for a moment about making a special breakfast, like pancakes, especially after my ordeal at the International House of Pancakes yesterday. But then we chose to keep it simple. 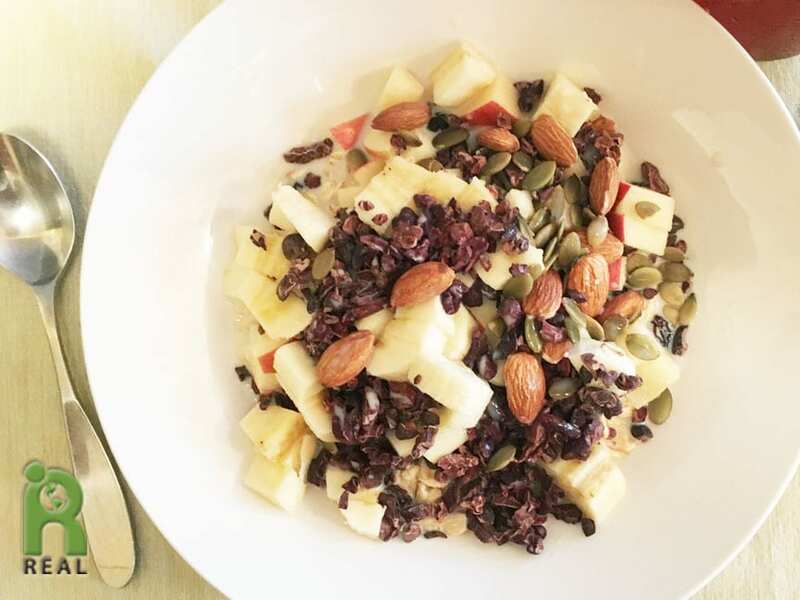 And I longed for my favorite cereal – Rolled Oats with Raisins and Cacao nibs plus Apples, Pumpkin Seeds an Almonds. We are going for comfort foods today. 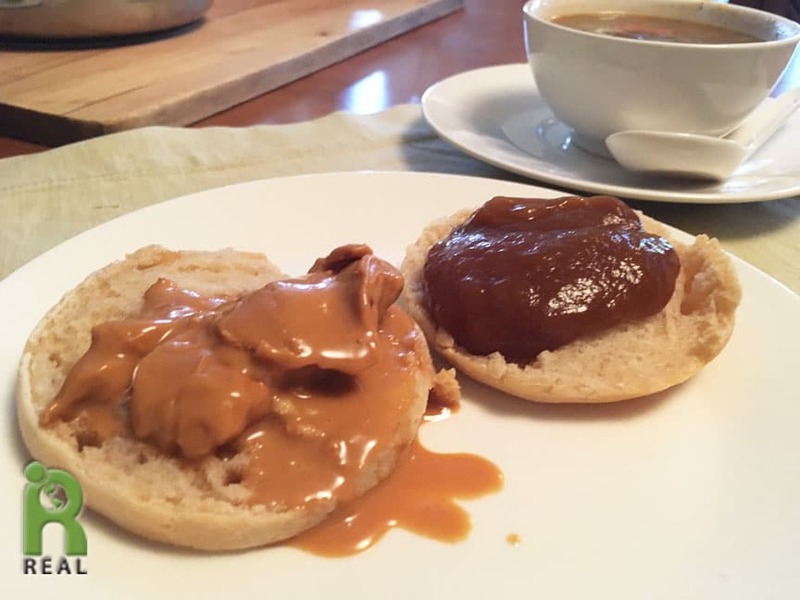 Soup and sandwich, soup and sandwich… We finished up the Mung Bean Chili Con Barley and made Peanut Butter and Jelly (Apricot Butter) Sandwiches on Gluten-Free English Muffins. I had an idea a few days ago to make “Two Kind Mushroom Congee”. I used to have this Rice Soup at the Buddha Bodhai restaurant in Flushing, NY and loved it. Of course, when I recreate a recipe I try to make it with healthier ingredients. 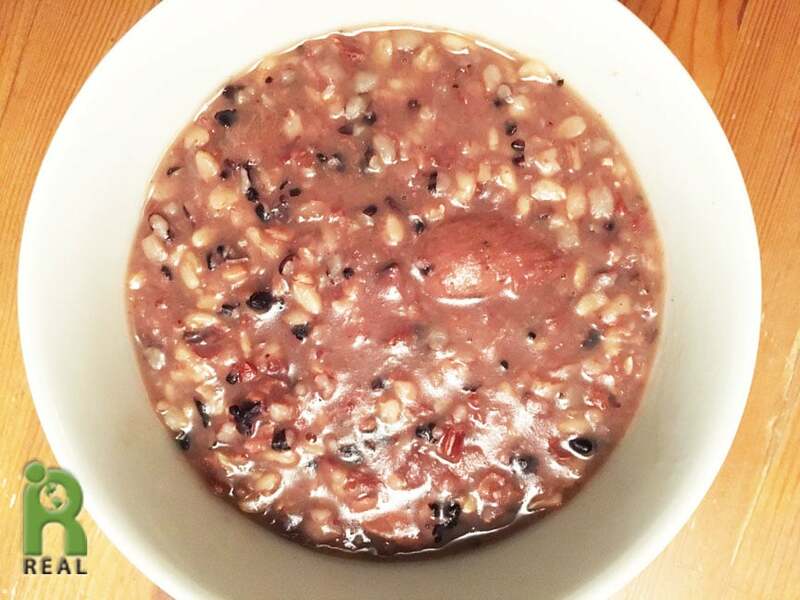 Instead of white rice, I made this congee with Brown, Black and Red Rices, plus dried Shiitake and Porcini Mushrooms and lots of ginger. It takes about 3 hours to cook it to get the rice nice and soft, but it’s worth it. ← My visit to IHOP, the International House of Pancakes.